"Mina has a lot of knowledge and adds to each lesson! For example, she knows the roots of kanji and how they are derived. She is also the best after-school tutor that I have ever seen!" "My J-LEAP Assistant Teacher injected energy with music, events, celebrations, and technology. Every day, students were eager to come to class to try a new activity or game we prepared for them. 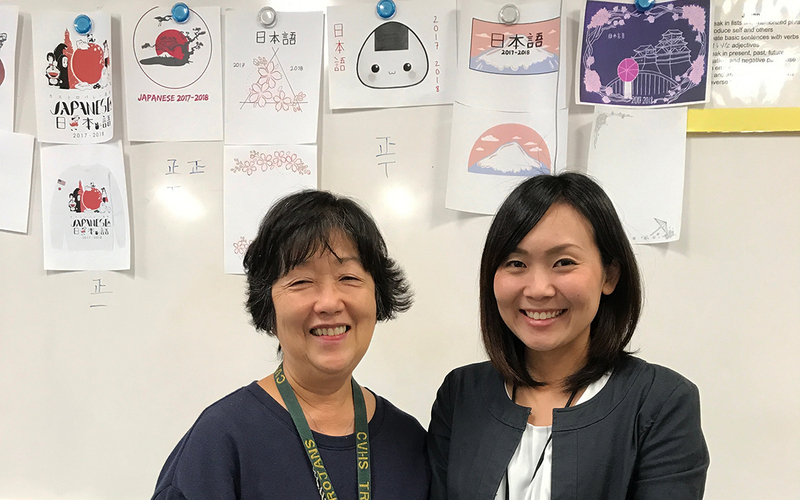 As the only Japanese teacher in the school for years, it was a lot of fun to have another teacher in the classroom, even just for brainstorming." "J-LEAP has been the single most beneficial thing for my Japanese program. The number of students taking Japanese has increased dramatically, as has our retention rate. Every single student has commented on how wonderful our Assistant Teacher has been." "J-LEAP was beneficial for our students who were able to use Japanese with another native speaker and to listen to authentic Japanese conversations. It was also a great opportunity for the host family to experience Japanese language and culture firsthand." "I believe one definition of a good teacher is someone who doesn't stop learning. J-LEAP has given me so many new avenues to explore that I doubt I will get to fully understand a fraction, but it has helped me see new ideas and possibilities that will help me grow." Bring Japanese language and culture to life for your students! By welcoming an Assistant Teacher from Japan, you will not only help nurture a new generation of qualified teachers of the Japanese language, you will increase the breadth and depth of your school’s Japanese program, add a fresh young adult voice to your school and extended community, and promote cultural exchange between Japan and the U.S. The program provides your students with the opportunity to hear and learn authentic Japanese language from a different and young, native speaker. Your community will gain a cultural promoter who engages in local cultural events and activities. And throughout the entire J-LEAP cycle, you will receive professional development (including on-site trainings in July) and support from program specialists, while improving your craft as a mentor. J-LEAP enhances your school’s Japanese language program at no cost to your district. The Assistant Teacher’s compensation (relocation, housing, local transportation, health insurance, and salary) is fully covered by Japan Foundation. 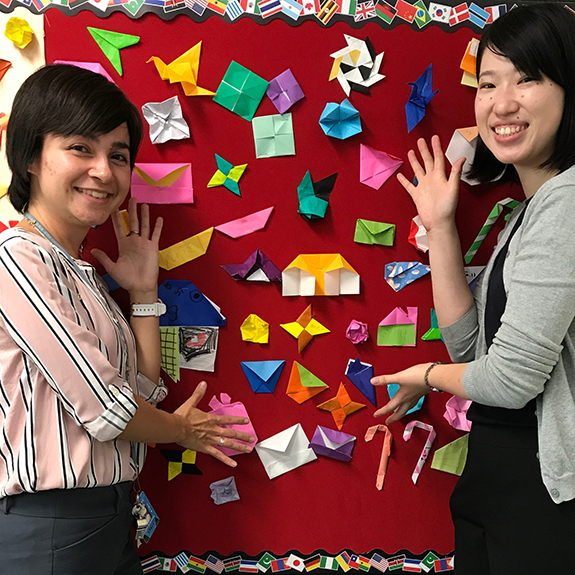 In addition, host sites can take advantage of a $1,000 grant to purchase teaching materials that support Japan-related activities, making this a very cost-effective program boost. 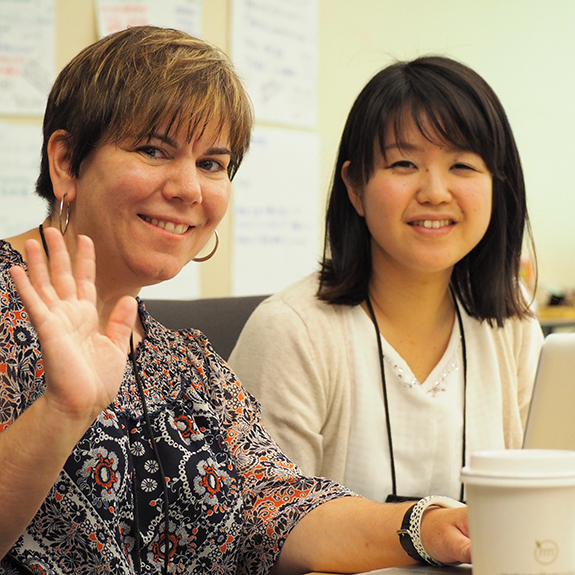 By the end of the two-year program, Lead Teachers will be able to create and deliver standards-based unit/lesson plans, teach more effectively in Japanese, and better assess student performance. The program also challenges Lead Teachers to re-examine teaching methods, providing new avenues, ideas, and possibilities to explore. And who knows—you and your students may just make a lifelong friend! If you're ready to take your Japanese program to the next level, please submit the online application. The application for the J-LEAP cycle beginning late summer/autumn 2019 will be available October 2018. The submission deadline is January 17, 2019. The online application contains multiple sections and does not allow you to save your progress and return. For this reason, it may be helpful to look at all of the questions on the questions preview and prepare your responses separately, before beginning. The J-LEAP Lead Teacher application must be submitted online. The application requires answering several long-form questions (the "questions preview" will help you prepare) and attaching documents such as resumes and essay question responses. After submitting the J-LEAP Lead Teacher application online, download, complete, and email the administrative approval form to J-LEAP staff. Please ensure that both the online application and the approval form are submitted by the application deadline.